The EU RO MR Group is made up of 12 Classification Societies with EU Recognised Organisation (EU RO) status, working together to implement Article 10.1 of Regulation (EC) No. 391/2009. In light of this, the EU RO MR Group can now offer mutual recognition for selected products certified under Type Approval Alone as described in the EU RO Framework Document. 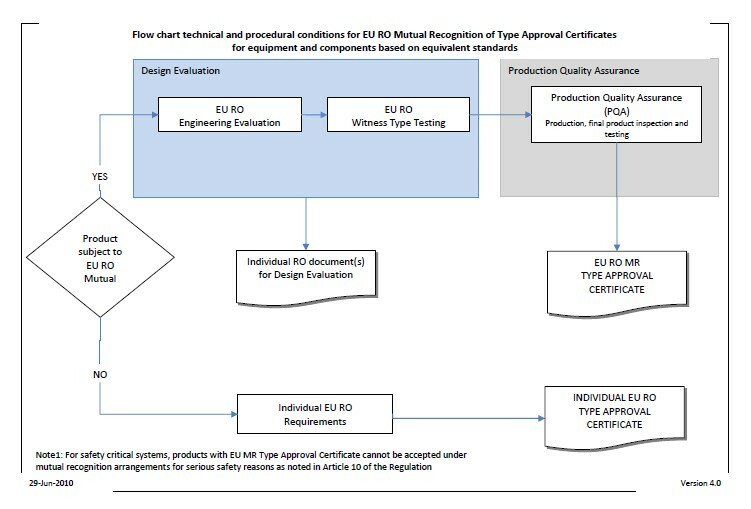 - If a product is not already covered by the existing Technical Requirements the manufacturer or a manufacturer's organization can request the EU RO MR Group to consider the suitability for MR TR development for such a product. Such a request should be addressed to the Secretariat ([email protected]). 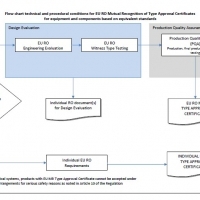 For more information about the Technical Requirements development process please see TR Development. - The agreed Technical Requirements for eligible products may be found under the Technical Requirements tab. The EU ROs​​ and their directors, officers, members, employees and agents (on behalf of whom this notice is issued) shall be under no liability or responsibility in contract or negligence or otherwise howsoever to any person in respect of any information or advice expressly or impliedly given on this website or in the documents contained herein, or in respect of any inaccuracy herein or omission herefrom or in respect of any act or omission which has caused or contributed to this website or in the documents contained herein being issued containing information or advice. Without derogating from the generality of the foregoing, neither the EU RO's nor their directors, officers, members, employees and agents shall be liable in contract or negligence or otherwise howsoever for any direct, indirect or consequential loss to any person caused by or arising from any information, advice, inaccuracy or omission given or contained herein or any act or omission causing or contributing to any such information, advice, inaccuracy or omission given or contained herein. Any dispute concerning the provision of material herein is subject to the exclusive jurisdiction of the English courts and will be governed by English Law.